A painting hanging in the Cancer Centre at Abbotsford Regional Hospital will send a welcoming signal to aboriginal patients – a message they may not have received from health-care facilities before. The painting – depicting two Metis youth holding hands and facing a full moon over a rocky landscape – was unveiled last week as part of a province-wide program to introduce aboriginal art into BC Cancer Agency locations. The program is a partnership between the First Nations Health Authority, the Metis Nation of B.C. and the BC Association of Friendship Centres and the BC Cancer Agency. A unique art project in Thunder Bay, Ont., is bringing together police officers and female survivors of sexual assault, and helping them express how violence has affected their lives. Honouring our Stories uses everything from beading to weaving to digital storytelling to illustrate how sexual violence impacts the victims and investigators. "Art is a great leveler. 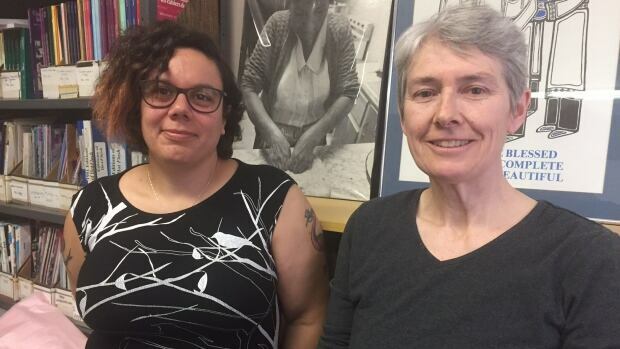 It's something that brings people to their own deepest place where they can tell their own personal stories and it's also a great way to share your story with someone else, " said Gwen O'Reilly, the director of the Northwestern Ontario Women's Centre in Thunder Bay. Clients of the ArtWorks Studio at the Canadian Mental Health Association, led by local artist Tina Siddiqui, joined members of Interior Health’s Mental Health and Substance Use team and art committee to unveil their beautiful four-paneled art piece this past week. The art piece is housed on the second floor of IH’s new Community Health and Services Centre located in downtown Kelowna. The second floor also houses multiple MHSU patient services. Twelve individuals worked together to design and create the painting as a representation of health and well-being in the beautiful surrounding areas. The artists hope to express their wish for health and happiness for all people and communities across IH. Art often provokes uncomfortable conversations, so it’s no surprise there were some heavy moments in preparation for an upcoming exhibition in Calgary that explores themes of recovery and healing. The three month, bi-annual Hear/d Residency program at the Alberta College of Art and Design (ACAD) aims to create meaningful discussion about mental health and student well-being on post-secondary campuses. The program wraps up with a three week exhibition curated by two student mentors, who also facilitate the residency. “This year has been kind of intense, it’s probably been some of the heaviest conversations I’ve had in my post-secondary experience,” said Ryan Danny Owen, a fourth-year drawing major at ACAD and one of this year’s mentors.